Nick Walton joins yacht charter specialist EYOS Expeditions aboard one of the world's few expedition-ready superyachts for a bespoke Antarctic adventure. The horizon, a silver line that seems to drift in and out of sight as if in a dream, is gradually broken. The effect is subtle at first, almost like a trick of the eye, but as the towering icebergs rise above the sea like the vanguard of an approaching horde, there’s no mistaking their icy blue majesty. It’s dawn – or at least the transition between the shades of twilight that represents the birth of a new day this far south – and I’m manning the bridge of a state-of-the-art expedition vessel as she silently slices her way through near-frozen seas, into the depths of the rarely explored Antarctic Sound. Being able to go where others rarely do has become a central theme for well-heeled world wanderers from the Middle East and beyond. Whereas luxury travel was once defined by how large a resort’s infinity pool was, or how many hundreds of Egyptian threads dressed the bed, today, experiential travel – the pursuit of something more than leisure at its most somnolent – rules supreme. Suddenly everyone wants to see the Northern Lights from a hot tub, track Serengeti game on foot, or, at the top of many bucket lists, visit the vast, desolate beauty of Antarctica. So how do the wealthy stay ahead of the game, you might ask? Just like they do in the air; they go private, with a luxury charter yacht opening up a world of possibilities even the most intrepid can only dream of. That’s where EYOS Expeditions comes in. A ground-breaking charter business founded by a clutch of hardy-yet-passionate travellers with rolodexes that would have raised the eyebrows of Don Draper, EYOS will take you, your friends, and your superyacht to almost anywhere on the planet. Don’t have a superyacht? The company also offers access to a myriad of world-class charter yachts, priced up to US$1 million a week, complete with expeditionary crew, offering affluent travellers the unique combination of luxury and logistics. All you have to choose is the locale, from the tropical atolls of the South Pacific, to the superyacht hubs of the Caribbean, to the polar bear hunting grounds of the Arctic. Or in our case, the towering peaks and frozen landscapes of the Antarctic Peninsula. Vessels in EYOS’ expedition-ready fleet include Legend, a Class 1 Icebreaker; Enigma XK, a former fisheries patrol craft turned luxury expedition yacht capable of traversing the challenging Northwest passage; and the 55-metre Seawolf, which, with her deep draft and extensive range, is ideal for exploring the remote corners of the Pacific. However, we’re braving the coldest continent aboard one of EYOS’ most popular charter yachts, the Hanse Explorer. Part superyacht, part rugged expedition vessel, the Hanse is one of the few vessels globally that can truly claim to be an ‘expedition yacht’. But beneath the Ferrari-like aesthetics lie cutting-edge environmental systems, the highest rating for an ice strengthened hull, powerful engines, a 9,000 nautical mile cruising range and the types of built-in gadgets that come in handy when you’re charting courses far from the beaten path. 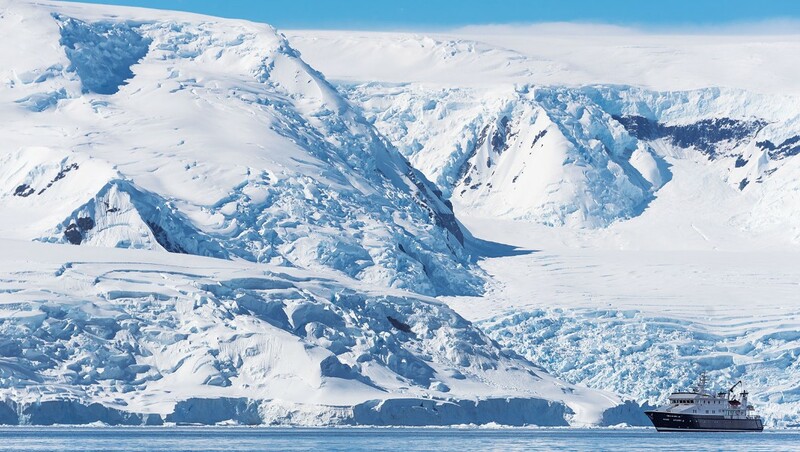 I’m on the second day of a week-long Antarctic cruise aboard the Hanse and I’m already seeing the difference a private charter yacht offers over my previous voyages to the White Continent. Describing Antarctica’s weather, and that of the dreaded Drake Passage – an oceanic line in the sand between South American and the ice – as temperamental, is being kind. Huge currents and rapid shifts in water temperature whip up storms from nowhere, often delaying even the best laid plans. We had flown from the Chilean town of Punta Arenas to the gravel air strip on the King George Island in the South Shetlands – a chain of rocky outcrops on the cusp of the continent – a day late because of one particularly vicious squall that would have made life a nauseating misery for regular cruisers tackling the Drake for two days straight. However, having a private vessel at our disposal meant we could be more flexible with our itinerary. See something you like? Land on a beach where you just might be the first human visitor. 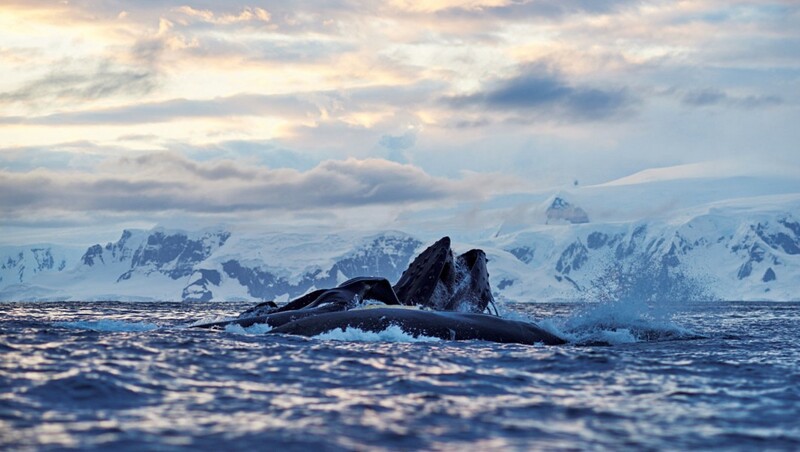 Greeted by pods of humpbacks in the Gerlache Strait? Launch the zodiacs and put the champagne on ice. Even our shy Portuguese chef Luis Galego Pião follows the mantra: the destination comes first. Our captain and the expedition team, led by intrepid adventurer and EYOS expedition leader Richard White, mix things up and instead of heading southwest, following other, larger commercial vessels down the west coast of the Peninsula, we duck and weave east and south, across the tip of the continent and into the calm waters of infamously ice-choked Antarctic Sound, where great slabs of glacial ice the size of suburban shopping malls, dominate the landscape. 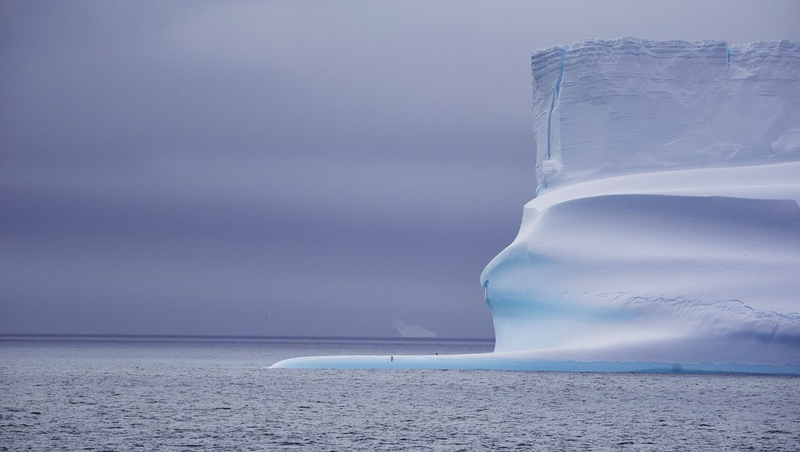 It’s difficult to get a sense of scale in Antarctica. What appears to be an island in the distance becomes a great wall of ice that at times glares with white hot reflection, and at others glows with a deep blue resonance. Cracks in the icy facades become cathedrals as they slip from the mist, great shrines to the elements which forge and shape Antarctica’s frozen crown. 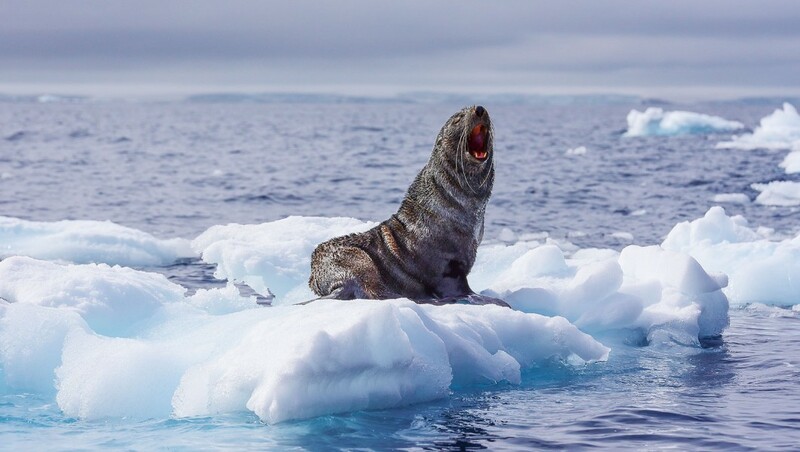 A whiff of spray, gone in an instant, heralds the arrivals of killer whales; and slate-coloured rifts in the brilliantly white landscape become curious crabeater seals, basking on the sea ice, that eye us as the Hanse Explorer silently approaches. 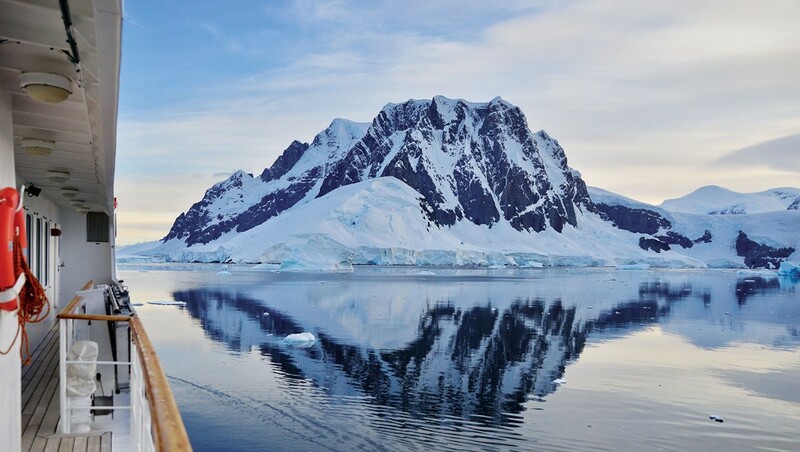 In the shadow of Brown Bluff, a towering rocky peak wreathed in ancient ice, we cruise a bay packed with beached icebergs on the ship’s complement of zodiacs. Gentoo penguins and storm petrels rest on the snow-dusted slabs, unperturbed by our presence, and Antarctic fur seals sneak peaks at us from the inky waters before diving beneath the zodiacs in a silvery shimmer. 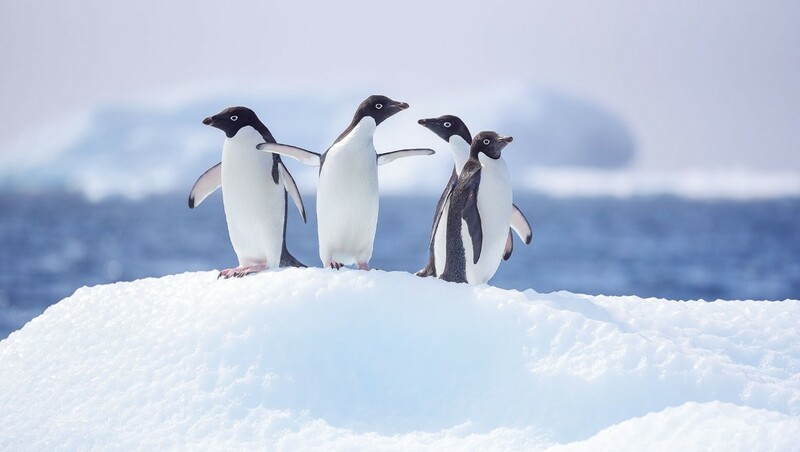 At an Adélie penguin colony at the base of the peak, thousands of tuxedoed birds feed and groom their young, the thick grey fur of the chicks molting away to reveal a slick waterproof coat beneath, the cacophony of their gossip echoing off the peaks which ring the deserted bay. Another great thing about a private charter yacht is the company you keep; you only share these remarkable experiences with a hand-picked clutch of friends and family. 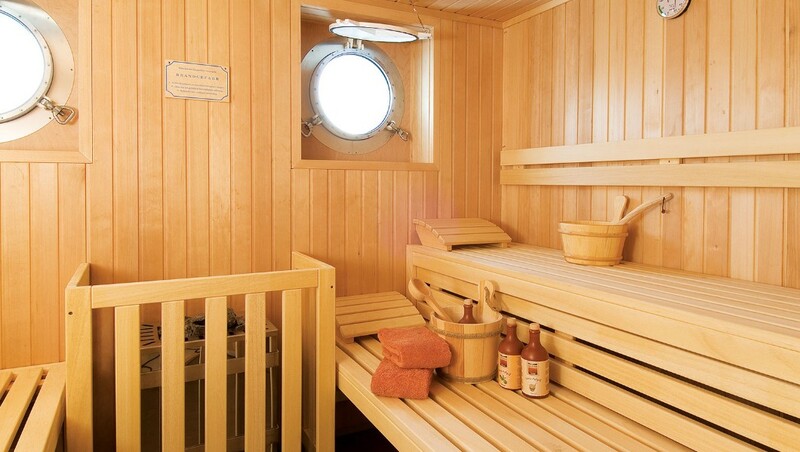 The Hanse Explorer caters to 12 guests in spacious, modern staterooms replete with king-sized beds and en suites. There’s also a beautifully-appointed dining room, a lavish lounge with wet bar; and covered and uncovered rear decks that offer great vantage points as we cruise again. This time we follow the Peninsula’s west coast, through the Orléans Strait, and into the acclaimed Gerlache, the whale super highway, with time for stops at Spert Island and Mikkelsen Harbour, home to roaring fur seals and the weathered wrecks of timber long boats dating from the region’s bloody whaling history. The Hanse Explorer has the maneuverability that larger commercial cruise ships could only dream of, and German captain Jens Koethen isn’t afraid to show us how she handles. In the Grandidier Channel, far further south than commercial ships venture, the captain carves through great swaths of last season’s sea ice before ploughing into one tennis court-sized piece that allows us to step from ship to float for the perfect Antarctic photo op. As the light begins to fade, casting the shimming grey landscape – sea ice and icebergs ranked to the horizon – in a breathtaking golden hue, there’s time enough to depart in the zodiacs again. 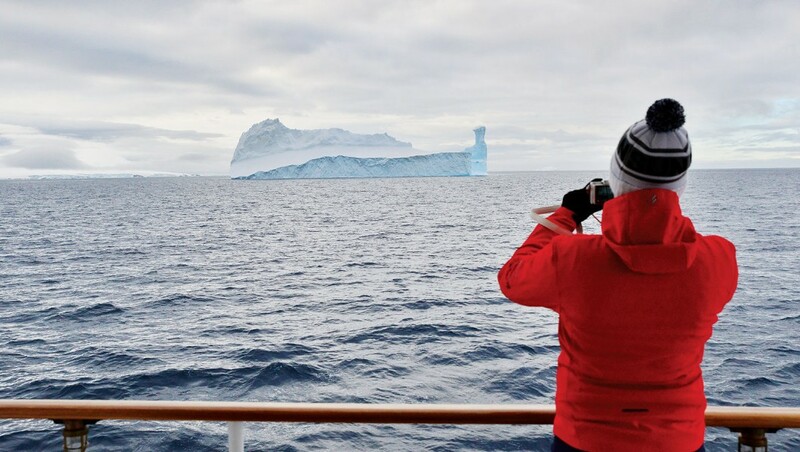 After two or three zodiac excursions each day, we’re old hands now, as the drivers race the powerful inflatables through the silky waters and weave between the great sheets of ice, the Hanse easily maintaining station behind. It’s the final day of our private, and very personal foray into Antarctica and as we cruise towards King George Island again we’re escorted by pods of humpbacks, many with young calves in their wake. Under indigo skies we experience these majestic beasts up close and personal, as they breech and fluke metres from our zodiacs. We’re mesmeried, even after returning to the yacht, and sip hot chocolate at the bow, toasting to the magnificence of the White Continent, the luxury of the Hanse Explorer, and the opportunity to experience this remote corner of the world with just a handful of new-found friends. Would you pay $10,150 for a 1-day trip to an exotic destination?